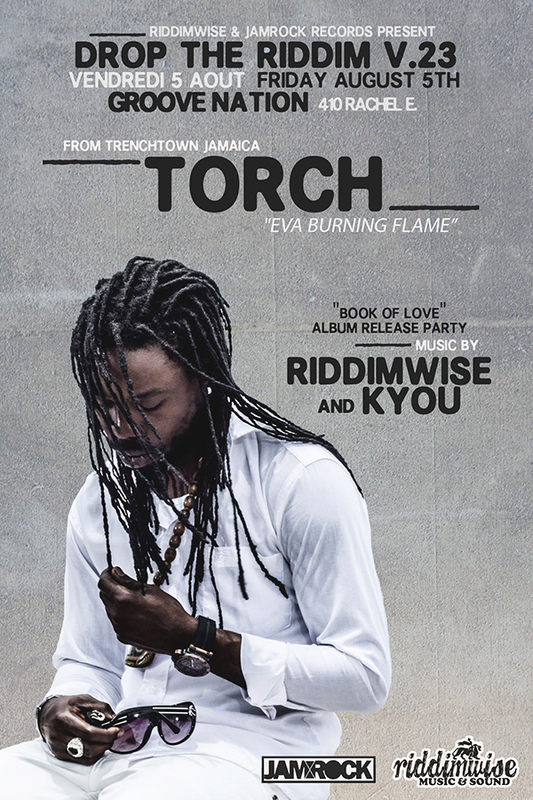 Drop The Riddim v.23 featuring live from Trenchtown, Jamaica, Torch “Eva Burning Flame”, sound system by Riddim Wise and Kyou. Friday August 5 at Groove Nation 410 Rachel east, Montreal, 8$ at the door. The best of Reggae, Dancehall and Rubadub !